Zirconium Oxide Powder,CSG-69007656,Zirconium Oxide Powder,China Southern Advanced Ceramic Technology Co., Ltd.
Our company is an earliest high technology enterprise who apply themselves to the producing and development in zirconium materials and its products in China. Depends upon our company’s abundant economic potentiality and the strict scientific management, through more than 10 years unremitting endeavors, and now we have already become the most famous enterprise in the structure ceramic field with the biggest scale and strongest influence, the strongest technology and the most comprehensive products. We can produce the monoclinic ultra-fine powder, tetragonal powder and cubic powder in stability and big quantity by co-precipitation process. 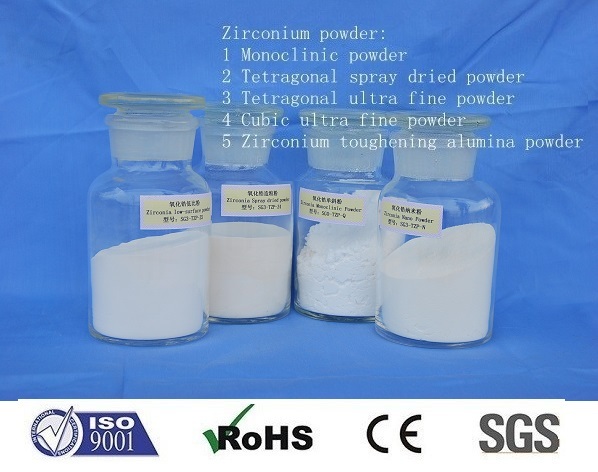 Taking the yttrium stabilization zirconium powder as the example, the main properties are as below. 1) Plastic woven bag with plastic liner bag. Net weight 25KG/bag.